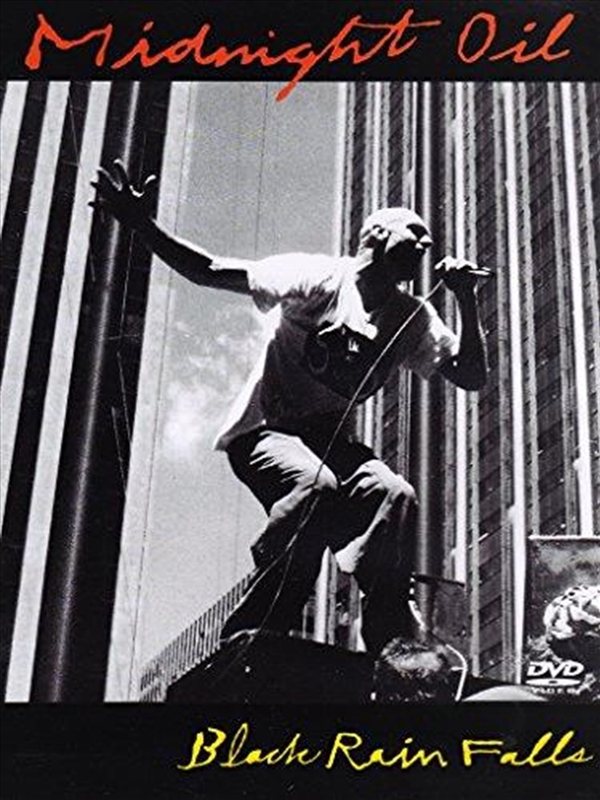 On May 30, 1990, Midnight Oil interrupted their North American tour for a “special guerrilla action” outside Exxon Oil headquarters on the crowded Avenue of the Americas in midtown Manhattan. The agitprop event from the back of a flat-bed truck drew more than 10,000 people out of the nearby office buildings and onto the street. The Oils were responding to one of the worst environmental disasters in US history when nearly 11 million gallons of oil were spilled onto the pristine Alaskan coastline by the Exxon Valdez. Twenty five years later the effects of the spill on the landscapes and wildlife of southern Alaska are still being felt. The DVD features all six songs captured live that day: “Progress” (From the 1986 EP, Species Deceases); “Sometimes” and “Dreamworld” (from 1987’s Diesel And Dust); “Blue Sky Mine” and “River Runs Red” (from Blue Sky Mining, 1990); the apropos tribute to John Lennon, “Instant Karma” and the video clip for Midnight Oil’s “King Of The Mountain” (also from Blue Sky Mining), plus commentary on each track from the band.